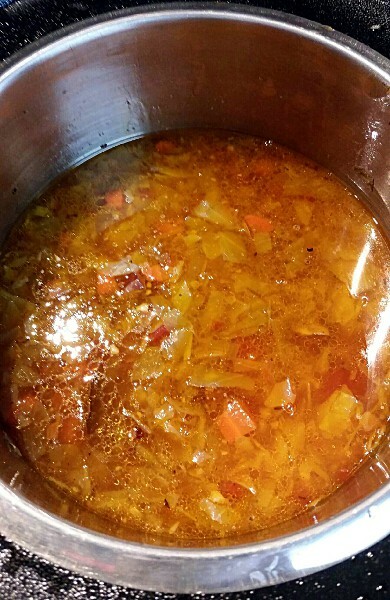 On St. Patrick’s Day, I make this Cabbage and Kielbasa Soup to be served at Rich Cuisine’s Wednesday Bakery in Superior, Wisconsin. I wanted the soup to speak of the flavors of Ireland and complement the featured bread of the day, a hearty Polish Dill bread. 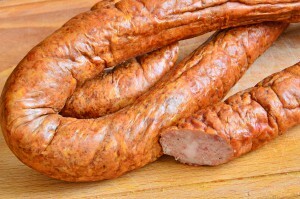 So, with cabbage, kielbasa and caraway in hand I went to work. 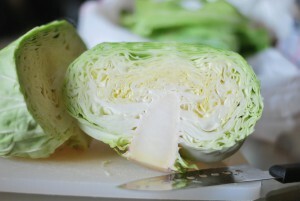 When it comes to cabbage, it seems people either love it or loathe it. I suspect people who don’t like it have been served overcooked cabbage. And overcooked cabbage is repulsive. When cooked correctly, cabbage is mellow and delicious. And that’s the character of this soup. It is comforting, warming and a soup to turn suspicious diners into cabbage converts. 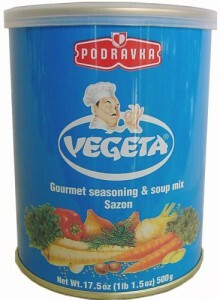 My secret ingredient is Vegeta Gourmet Seasoning & Soup Mix. 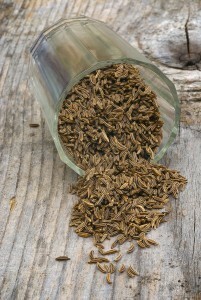 Vegeta is a popular seasoning in Central and Eastern Europe, where it is used to flavor numerous dishes, just like seasoning salt is used in the United States. This recipe makes a very large batch of soup. Feel free to cut it in half for a smaller crowd. Otherwise, this soup makes very tasty leftovers.